Murphy's Non-Rust Rim-Kote is a corrosion resistant tire mounting lubricant that prevents wheel rim rust. Murphy's rust retardant formula also helps prevent tire bead freezing and helps seat tubeless tires in freezing temperatures. Non-Rust Rim-Kote has proven to be the mounting lubricant of choice for mounting large truck tires. Murphy's can also be used effectively as a fifth wheel grease. 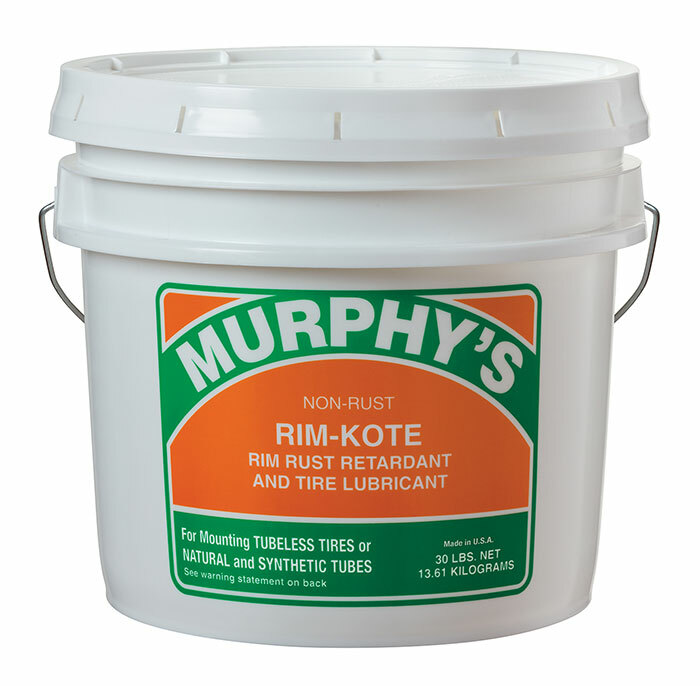 Murphy's Non-Rust Rim-Kote tire lubricant is a soft, non-water dispersible paste. It is a stable blend of vegetable oil, soaps, surfactants, mineral fillers and water. It is not petroleum based. Murphy's Non-Rust Rim-Kote tire lubricant is excellent for use in all types of tire mounting systems, and it is tested safe for use on most common rubber materials.